Nestled in the business district of Mandaluyong is Garv's Boutique Hotel. One will not miss it for sure, as it is located conveniently in front of Mandaluyong City Medical Center. This is where I had my staycation recently. The 4 story building is clad in white. Upon entry, minimal design welcomes its guest. The receptionists were very accommodating and in no time, I was led to my room. On my way up, I already noticed the 'unfinished look' of the place. On my room- neutral tones, woods, concrete walls and floors, give one an industrial feel. I had a nice queen- size bed with white sheets. I feel the room is really big than usual. It has a LED TV (with local channels only), a phone, cabinets-concealed by the walls (which I find very clever)- and some hangers for my clothes. The AC unit also worked perfectly well. The industrial look extends to the T and B. It was immaculate and clean. Toiletries, towels, hair dryer and a hot and cold shower are provided. Water pressure is strong- perfect for a relaxing bath. The room gave me a relaxed, warehouse vibe. It was a nice respite to be away on the usual cluttered table in my office work area and the sometimes untidy and chaotic room I have in Makati. I love that Garv's Boutique Hotel has a super fast WiFi connection. 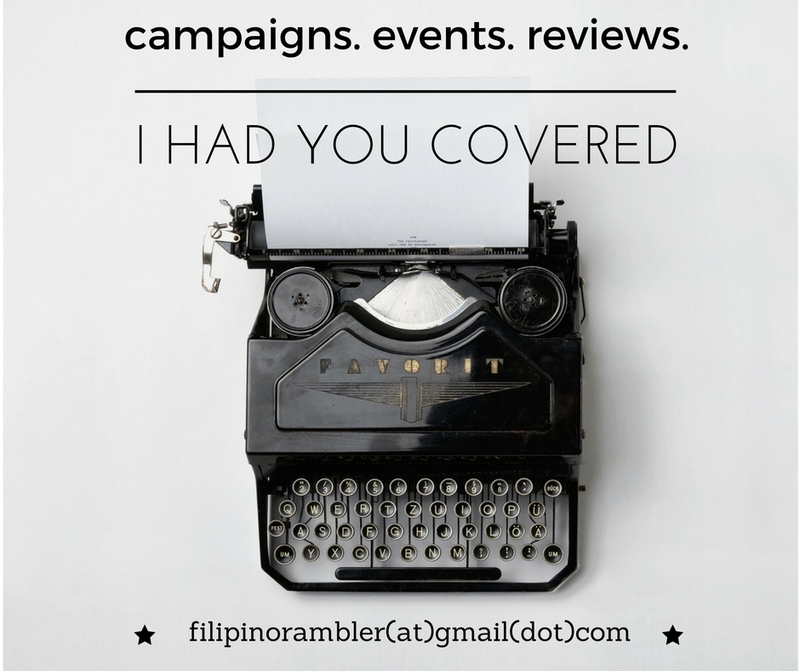 As a blogger who juggles work and staycation , it is important to have a really fast connection. Breakfast is not included in my accommodation. Garv's doesn't have an in-house restaurant. But don't fret just yet- food joints abound the area. You can also request the reception to order you food to fuel your morning. This room cost not more than 2,000Php. And for the value of money, I guess, it is fair. - There's a small table and chair inside the room. I'm not sure about the other rooms, but ours did not have one. We brought food inside and had no table at least to put our food at. - Cabled TV. While there are decent local channels, a staycation also sometimes mean binge-watching so a display of quite a number of cable channels will be perfect. - The roof deck be turned into a lounge area. Some fancy chairs and table and hanging lights- and it will be a perfect spot specially during the night. Or maybe a pool in the near future- that would be lovely! Again, you get what you pay for and I wouldn't mind shelving some extra for some added amenities. Over-all, I had a nice stay. Would love to see some improvements and added features in the near future. Garv's Boutique Hotel is perfect for the those who don't want to bore holes in their wallet and still have a convenient stay. 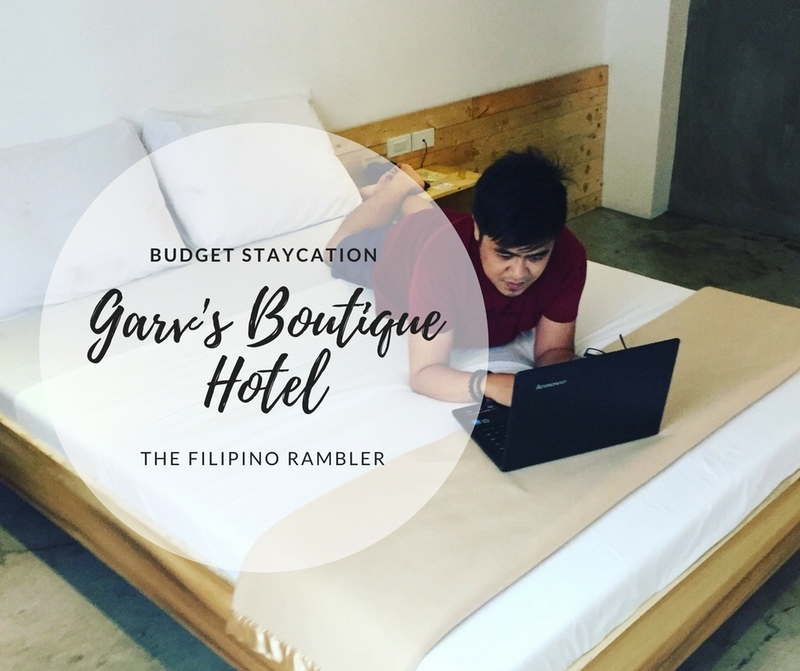 Sharing with you a short VLOG of my stay at Garv's Boutique Hotel. Please watch in HD.